We've been feverishly working on the 2011 2nd Annual ITSA Film Festival in Groveland and Sonora, California. Out of all of the events and festivals we've organized and marketed throughout the past 25 years, this is by far the most fun. The Festival is accepting short films, animations and music videos through www.Withoutabox.com, and it takes place over a period of 2 days this year. We have secured 3 great venues for the gala, screening films and several workshops to include an historic hall, a community hall and a beautiful outdoor venue. 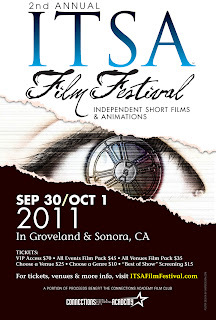 The ITSA Film Festival opens at the Historic Opera Hall in Sonora, California on September 30, 2011. Sabre Design launched an extensive website about a month ago. We're designing custom passes and lanyards for our Filmmakers, VIPs and Press. The poster and postcard designs are done and just about ready to send off to the printer. Sponsors and more sponsors! 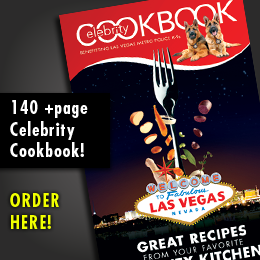 We're working with some amazing sponsors too! The Hotel Charlotte in Groveland is the exclusive hotel for the Festival portion in Groveland, Industry sponsors include Disenchanted Productions and Facing West Production as well as additional sponsors Yosemite Chamber of Commerce and Connections Academy. And to top everything off, the festival is securing some industry professionals, celebrities and we were just made an amazing proposal that we hope to officially announce by next week. We'll keep everyone posted as we move forward with The Festival.